One of the most common reasons women visit their gynecologist is due to abnormal menstruation. Every year approximately 5% of women ages 18–50 will experience periods that are heavy and/or irregular in timing. Too frequent — whether it’s nearly daily spotting or periods that seem to come every 2–3 weeks, some women feel like there is almost never a time when they aren’t bleeding. Too heavy or long — for some women, their periods are predictable, but it’s with extreme flow or lasting for many days. In serious cases, women may pass large clots that make them feel uncomfortable leaving home until it subsides. Too painful — periods can be so painful that women need to miss work or school. When periods are irregular in timing or heavy in flow, we must first answer the following question: is there a structural abnormality within the uterus? 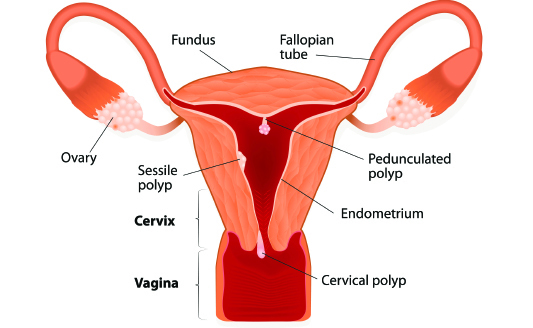 Uterine polyps are benign (not cancerous) growths inside the uterus. While they typically do not cause heavy periods, they commonly lead to frequent or continuous spotting. Polyps may be seen by ultrasound, but often are not definitively diagnosed until a procedure called a hysteroscopy is performed. During this procedure, the gynecologist places a camera into the uterus. If polyps are detected, the doctor will then remove the polyps with instruments. The uterus is made primarily of two components: the muscle and the endometrium. The muscle is what contracts/cramps during labor and menstruation. The endometrium is the fluffy lining that is receptive to the implantation of a pregnancy. For reasons not entirely understood, some women have endometrium that works its way into the uterine muscle. When this happens, the blood from the period irritates the uterus. This can lead to heavy and painful periods. Adenomyosis can be suspected by ultrasound and a physical exam, but typically isn’t definitively diagnosed until a uterus is removed during a hysterectomy. Luckily, many women can have their symptoms managed first with medication. As mentioned above, a predominant portion of the uterus is muscle. When one muscle cell begins to replicate in a rapid fashion, this creates a fibroid. 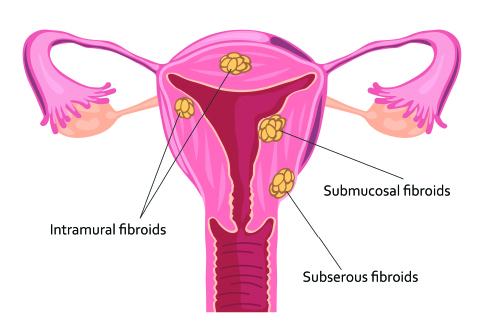 Fibroids are benign growths that can occur in any part of the uterus. Fibroids are easily identified on ultrasound or physical exam when they reach a large size. Fibroids are extremely common; over 70 percent of women have them. Thankfully, only a minority have irregular periods due to their presence. Treatment of fibroids can come in the form of management with medication or surgical management. For some women, surgical management may involve removing fibroids while leaving the uterus intact to help retain fertility while, for others, a hysterectomy may be a better option. Heavy or irregular bleeding can be a sign of hyperplasia (precancerous) or malignant (cancerous) growth inside the uterus. While these diagnoses are not the most common causes of abnormal bleeding, women who have postmenopausal bleeding or rare periods are at higher risk. While numerous risk factors exist, some of the most common are a family history of uterine cancer, polycystic ovarian syndrome, or obesity. Hyperplasia and malignancy are preferentially treated with a hysterectomy to ensure the area of concern is fully removed and evaluated. However, for select patients, management with medicine may be appropriate. Non Structural Causes of Irregular Bleeding Coagulopathy The inability to stop normal bleeding can be the cause of heavy bleeding. Typically, this is diagnosed earlier in life when a bleeding abnormality is identified. Depending on the problem, medications or specialized transfusions are required to correct this deficiency. Every month in a typical menstrual cycle where pregnancy has not occurred, the body recruits eggs for ovulation. After ovulation, the ovaries release hormones to stabilize the endometrial lining. When pregnancy does not occur, these hormones are withdrawn and the endometrial lining sheds which leads to menstruation. When this cycle of ovulation is interrupted, women lose the stabilizing hormone effect. This either leads to an overgrowth of endometrium which eventually sheds heavily, or a monthly “2nd period” a few weeks later when the unstable and disorganized lining sheds early. Correcting this requires identifying the underlying cause. Typical causes include polycystic ovarian syndrome or thyroid dysfunction. If the underlying cause cannot be completely addressed, medication can be used to induce a monthly period. For some women, their endometrium is suspected to be inherently more likely to cause heavy bleeding. This diagnosis is a bit more academic compared to the other causes outlined in this article, as it would usually only be diagnosed by specific studies that are rarely performed outside of research studies. Instead, a gynecologist would typically recommend medication to help regulate menstruation. Every medication comes with potential benefits and potential risks. A thorough review of medications by a physician can help identify if a medication being taken is a potential cause of irregular bleeding. The most common cause of painful cramping during menstruation is due to heavy flow, with causes outlined as above. However, for some women, endometriosis is the cause of their painful menstruation. Endometriosis is when the endometrium (uterine lining) has migrated to areas outside of the uterus and implanted in the abdomen. When menstruation occurs, these implants in the abdomen lead to inflammation. This inflammation then causes significant pelvic pain and possibly infertility due to scarring. Endometriosis is only definitively diagnosed through a procedure to prove endometrial implants are seen outside the uterus. Treatment for endometriosis can include medication, surgical removal of visual implants, or surgical removal of the uterus and/or ovaries. The right choice will vary from patient to patient depending on her goals and possible desire for fertility. What does this mean for you? The good news is that in recent decades, advancements in medications to regulate periods have been so successful that we have seen a decreasing rate of hysterectomies. For the women who do go on to require a hysterectomy, advancements in surgical techniques have also led to less invasive options with quicker recoveries; it is not uncommon for some women to be able to comfortably go home the same day as their procedure. Whether it’s due to irregular timing, heavy flow, or excessive pain, there is no reason women need to tolerate abnormal periods. If you or someone you know is dealing with bothersome periods, we encourage visiting a doctor as there are many excellent options for treatment. 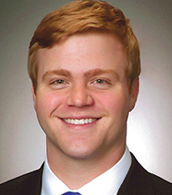 Dr. Crow sees patients in Eau Claire and Chippewa Falls.